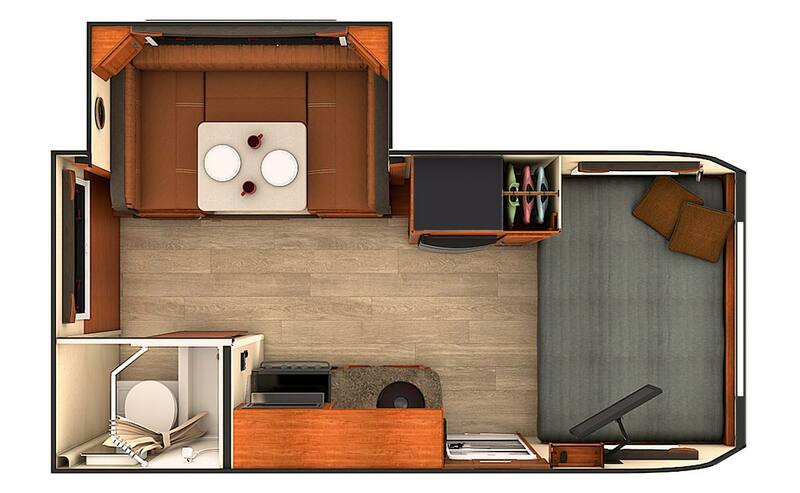 If you&apos;re looking for more room, you&apos;re going to really be impressed with the 1575. Due to our lightweight engineering technology, we were able to fit the 1575 with our "Super Slide" dinette and kept the weight at just 2775 pounds*. With large windows and skylights in the living and bath areas - this trailer feels much larger than other trailers of similar size. Gross Dry Weight 2775 Lbs. Hitch Dry Weight 245 Lbs. Cargo Carrying Capacity 925 Lbs.